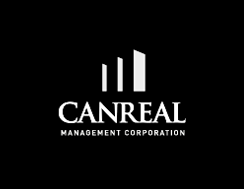 Canreal has developed a detailed management take-over procedure that ensures every new property will be quickly and efficiently integrated into our management system. We take pride in our hands-on and proactive approach to property management. We recognize that we play an integral role in maximizing the value of our clients’ investments so we are continually seeking ways to increase property cash flow and reduce costs while maintaining the highest level of service. We are effective managers because we have a high level of attention to detail, visit our properties frequently and communicate regularly with our clients and tenants. As we believe no properties are identical, Canreal’s property maintenance, operations and capital programs are customized to serve the unique characteristics of each of our managed properties. Our fully licensed property managers and experienced property administrators are trained to maintain your property to the highest standards.